The EMAT Board of Directors consists of eighteen (18) members; 12 regional members, five at large members and one corporate member. The EMAT Executive Committee is selected from the current Board of Directors. Francisco Sanchez is liaison and public information officer for the Harris County Office of Homeland Security & Emergency Management (HCOHSEM). HCOHSEM is responsible for disaster preparedness and response in the nation’s third largest county. Sanchez joined Harris County in 2004 and was lead public information officer during the local response to both Hurricanes Katrina and Rita in 2005. He led the region’s Joint Information Center operations during Hurricane Ike and the highly active 2008 hurricane season. In 2013 he was appointed to the Communications Security Reliability and Interoperability Council, an advisory committee to the Federal Communications Commission offering guidance on key issues such as next generation 9-1-1 technology, alerts and warnings and cyber security. In 2015, Sanchez was named Public Official of the Year by the University of Houston and in November 2013 he was featured as Emergency Management Magazine’s Major Player for his work on emergency public information and proposal for a national dialogue on the topic. Sanchez is an advocate of integrating emergency public information and Joint Information Center concepts into local emergency response efforts. He has been a featured speaker on these topics at the National Hurricane Conference, National Conference of State Legislatures, Texas Homeland Security Conference, Emergency Management Magazine road show, the National All-Hazard Incident Management Team Training & Education Conference, Texas State Firemen’s and Fire Marshal’s Conference and other forums. Sanchez is a member of the highly regarded San Jacinto Type-III All Hazards Incident Management Team, one of only 18 such teams sanctioned by the state for deployment as ordered by the Texas governor. He was a member of the Department of Homeland Security’s Integrated Public Alert and Warning System (IPAWS) Practitioner Working Group, which set the groundwork for the Wireless Emergency Alerts network that improved the nation’s public warning system. 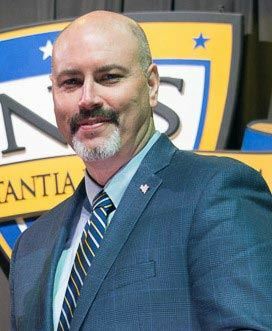 As a member of the Houston Area Urban Area Security Initiative Regional Collaboration Committee, he works to build consensus on a variety of measures critical to local preparedness and response capabilities. Membership organizations include the National Association of Government Communicators, International Association of Emergency Managers, Texas Municipal Information Officers and others. 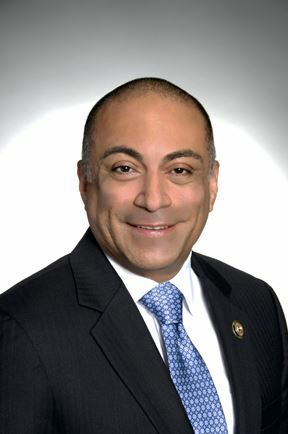 Sanchez is a graduate of the University of Houston and has served on boards and leadership groups of numerous local and national organizations. Currently is serves on the boards of Houston Achievement Place and the Spay Neuter Assistance Program. Sanchez is a member of the Ponderosa Volunteer Fire Department and serves on the Houston Livestock Show and Rodeo’s Ticket Services Committee. He received the President’s Volunteer Service Award in 2010 and 2011 Emerging Leaders Award from Big City Emergency. Dee Harrison has more than a decade of experience in the field of emergency management and is currently the Branch Manager of the Disaster Behavioral Health Services Unit at Texas Health and Human Services. Prior to moving to that position, she was the Senior Planner at the Texas Animal Health Commission. She was the Emergency Management Specialist for the Williamson County Office of Emergency Management. She also served as the Supervisor of the Homeland Security Policy and Plans Unit at the Texas Division of Emergency Management, where she was responsible for State and local emergency planning, the Critical Infrastructure/Key Resources program, and developing and delivering a variety of emergency management training courses. She was the State Donations Management Coordinator and State Voluntary Agency Liaison and was deployed to the FEMA Joint Field Offices in El Paso and Waco in those capacities following federally declared disasters. Dee served in a variety of positions during numerous SOC tropical storm and hurricane activations and exercises. Dee earned her Bachelor of Science degree from Sam Houston State University, majoring in Criminal Justice. Before engaging in emergency management, she worked at the Texas Department of Criminal Justice Parole Division from Warrant Officer to Internal Review to managing curriculum development and pre-service and post service training and as a Pre-Sentence Investigator for both the Travis and Williamson County Adult Probation Departments. She is a Certified Texas Emergency Manager (TEM©), a Certified Emergency Manager (CEM®), a Master Continuity Practitioner (MCP) and currently serves on the EMAT Board of Directors. Billy Ted Smith is the Emergency Program Manager of Jasper, Newton, and Sabine Counties whose duties include Emergency Management Coordinator, Floodplain Administrator, Homeland Security Director and HazMat Officer. Smith serves as the President of the Jasper/Newton/Sabine LEPC, the President of the East Texas Mutual Aid Association and Chair of the Deep East Texas Regional Emergency Managers. 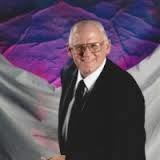 He previously retired from ExxonMobil Corporation as Process Supervisor and has held other positions in the past as Environmental Specialist, HazMat Specialist, Safety and Conservation Training and Special Projects. Billy was Treasurer and on the Board of the Texas Gulf Coast Emergency Management Association (now merged with EMAT) and received the Lou Harrell Award. He served previously as Director of EMAT and is a member of IAEM. He serves on the TDEM EMPG Steering Committee. Billy Ted has over 27 years of Emergency Management experienced. Kevin Starbuck is currently the Assistant City Manager of Community Services for the City of Amarillo. Over the course of the last 20 plus years, Starbuck has worked as a leader in both local government and federal government contractor emergency management programs with the City of Amarillo and M&O contractor at the U.S. Department of Energy Pantex Plant. Starbuck remains active in supporting the interjurisdictional emergency management program for the City of Amarillo, Potter County, and Randall County. Starbuck has served on the EMAT Board of Directors since 2011 representing Region 5 and served as the Sergeant at Arms from 2013-2015 and Vice President from 2015 to 2017. Starbuck is an active member of the Panhandle Regional Emergency Management Advisory Committee (PREMAC) and has served as Chairman of PREMAC since 2012. In addition, Starbuck has served on a number of local, regional, state, and federal committees and advisory boards representing and promoting emergency management. Starbuck is a graduate of the U.S. Naval Postgraduate School, Center for Homeland Defense and Security with a Masters in Security Studies (Homeland Defense & Security). His thesis titled “Moral Hazard: How the National Flood Insurance Program is Limiting Risk Reduction” is available through the Homeland Security Digital Library. In addition, Starbuck has received a Certificate in Homeland Security through Texas A&M University, Bush School of Government & Public Service and a Bachelor of Science in Emergency Administration and Planning from the University of North Texas. Starbuck is a Certified Emergency Manger (CEM) through the International Association of Emergency Managers, a Certified Texas Emergency Manager (TEM) through the Emergency Management Association of Texas, and a Certified Public Manager (CPM) through the State of Texas. Starbuck is active in his community, supporting charitable and service organizations, and serving as a leader in his church. Starbuck resides in Amarillo, Texas with his wife Kara and their two sons, Jack and William.